I had an ex-girlfriend who taught me at the age of 30, that the light bending orb shapes and human like apparitions I'd been seeing where in fact ghosts or ultra terrestrials. We both witnessed a woman's dress float across the room that night while lying in my bed. (The girl in the dress is from one of my past lives.) That was the first time in my life, beginning at the age of 13, that I understood what I was actually seeing. Shortly there after, I came to the realization that not only was I seeing ghosts, but I was also encountering extra terrestrials. Most of these experiences were occurring in my bedroom late at night. I could see them either floating in the corners of my ceiling, passing through the walls or opening my bedroom door. Often this was associated with me frozen in a state of paralysis but with me still able to open my eyes and see something with some cognitive awareness. Although my alien subconscious bleeds through consciously every day, I'm still remembering what's been happening to me since I was a kid. I used to think I was dreaming, now I comprehend that I was experiencing actual visitations. Most nights I'm either physically, subconsciously or mentally abducted whether I'm laying on my bed or I'm beamed up on a ship? The best part for me is that I can meet them half way on the astral plain and summon their God like existences through loving communication to better myself but more important to bless our world on our 3D Earth. Popping my alien memory cap, I revisited my reoccurring vision of me on a UFO with Yahweh and Enoch. Off at a distance on the ship, but still within eye shot from my vantage point, I see a human figure. It turns out it's me facing away from me. I'm standing next to Yahweh and Enoch and see my higher self, me, wearing a long white robe. He looks back over his shoulder smiling while revealing himself to me, the primitive self who's engaged in a flashback. My higher self me looks back into a circular window of outer space. Without him touching anything, he starts navigating and moving stars around within the circle. I interpret that he was manipulating this device mentally for astrological and astronomical reasons. It all became clear to me. My higher alien self me, who serves on the elite alien council, was communicating with my Earth me. I was then told of my enormous role in the global alien disclosure event that is coming up. 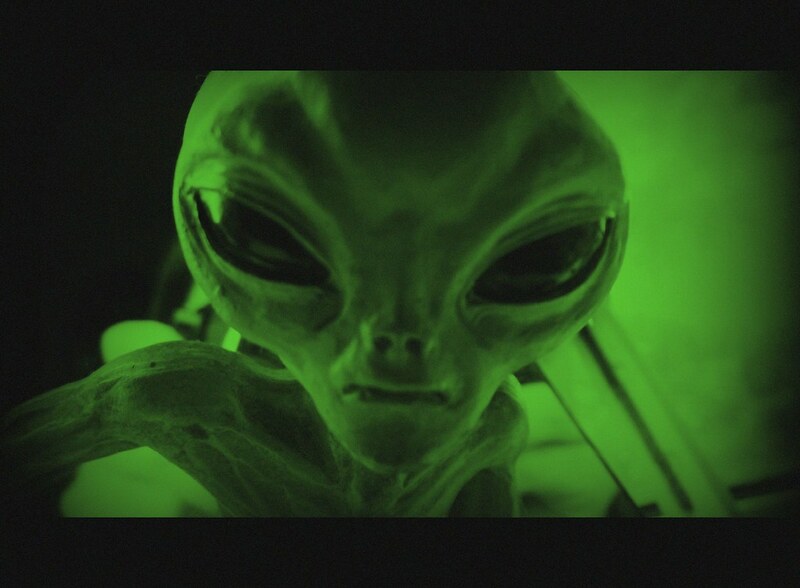 I, my alien me, am a benevolent loving alien creator god who focuses on prosperity, fertility and healing and has been allies with Yahweh and other creators gods for perhaps a million years. When I say multi dimensional existence, I interpret this as having a physical and or spiritual body in each of the 13 dimensions. The new epoch and dimension was formed on the death of the sun and the beginning of a new cycle on the winter solstice December 21, 2012. The Maya got it half way right. It was definitely the beginning of a new age, but certainly not the end of the world. This is when the new dimension began creating itself. We have to understand that the universe, multiverse is still big banging which means its growing and expanding. By doing so, new dimensions are added astrophysically and spiritually to accommodate all the new energy. New stars, planets and life are forming every day around the multiverse. A new dimension is created in the process and it effects all stars in every dimension including our little blue living dot on the map of the everyverse allverse universe. So on the morning of July 5, 2014, I recalled the Akashic Record (Universal knowledge) and the distance symbol in Reiki, (Hon Sha Ze Sho Nen) which enables me, the Reiki Master, with my mind, spirit and subconscious to travel through the vast reaches of time, space and cosmic information. As a teenager, I knew my highest, most evolved self is actually me as an ascended human like alien master living in a higher dimension vibrating at a higher frequency. The curious part is that self still looked 18 yrs old. That physical self had long hair and was thin just as I was back in 1988. The biggest difference is that he had his own mother ship and is part of the same high alien council who is pushing for full disclosure of aliens on earth in our present day 3D existence. I befriended a psychic medium. She hosted the Ghost Tour at a tourism location in Orlando, Florida. Her and her best friend, also a psychic medium, came to my house upon my request to ward off an evil entity that was connected to me. In effect, perform an exorcism on my home and myself. All of us meditated together in my living room and something knocked their dreamcatcher staff onto the floor. The ladies then discovered the demon is a succubus named Elizabeth. I believe Elizabeth had raped me multiple times in my sleep dating back to my childhood. Digging into my subconscious, I unearthed past life latent memories of Elizabeth and I. We were married and embroiled in an abusive, even sexually abusive relationship. I'm sensing this occurred during a time and place in the distant past where men could get away with such behavior. Elizabeth attaching to me and wrecking my love life was part of my karmic cycle in this current lifetime. After locating and identifying both of these entities, the ghost tour medium communicated with Elizabeth. She discovered that Elizabeth was an earthbounder trapped in between dimensions. She attempted to coax Elizabeth into journeying towards the light. Elizabeth was not willing to budge. Elizabeth replied saying that she loves me and is afraid to lose me. The psychic explained to the succubus that when John dies he will go to the light and that she'll be left trapped in a lower dimension. He'll be able to see you but then he'll be lost to you forever. This made Elizabeth irate. She began to glow and pulsate getting bigger and smaller. The psychic then left the astral plane out of fear and came back to the physical earth plane on a couch in my living room. She then proceeded to explain to me the reading. While doing so, her friend went to the restroom. Upon her return, she fell to the floor and started gasping for air scaring the wits out of all of us. Next thing I know, they are in the hospital and her friend was experiencing respiratory failure. The next day the psychic called me. She had stayed the night in the hospital with her friend. Frantic and bewildered with a trembling voice, she relived the nightmare of Elizabeth attacking her friend at my house and in the hospital. She recalled a gallant spiritual warrior named, White Wolf, who came to her rescue in the E R. . He literally pried Elizabeth's ghost hands off of her friends throat enabling her to breathe again. My guardian protector, White Wolf, saved her life and I could barely believe what just happened. I felt so incredibly bad and guilty even though I had no control over the incident. Our relationship between the ladies and I fell apart a few weeks later. In time, they quit returning my calls completely. I'd have to guess out of fear alone. A deep sense of regret lingers with me forever. I never meant to put another human in harms way. I've always known that all humans have multiple entities connected to them. At least one is loving and protective and at least one is dark and malevolent. But for the first time in my life, I realized how much these extra dimensional entities can effect our physical earth plane existence. Becoming a Reiki Master and International Metaphysical Minister has served as a catalyst for me to better manage my collective energies. Elizabeth doesn't possess nearly as much control over my life and people close to me as she used to. Thank you God. I pray and meditate every day on inhaling universal spirit love energy and exhaling all physical toxins and lower energies like Elizabeth. For five years I aggressively pursued a Reiki Master to teach me this Ancient Tibetan Buddhist healing modality. I made it abundantly clear that I was not looking for a deal. I wanted to pay a professional appropriately to pass on the necessary attunements and anoint me as a Reiki Master/Teacher. I must have encountered 10 or more Reiki Masters who straight up lied to me about performing the training and passing the attunements. Like I said, I was willing to pay for it, even in cash. I couldn't understand why these spiritual healers would agree to terms with me then lie to me or blow me off. They knew it would weaken their spirit to lie. After five years of trying, I finally found a Reiki Master who embraced the opportunity. Just before I took my first class, I had a grand epiphany. The reason the other Masters lied to me was because my spirit pushed them away. My God Self traveled into their brains and changed their minds for them. My body, mind, soul and spirit were not ready. My Reiki Master was a Goddess like beautiful Latin angel. She was an incredibly powerful ascended elder spirit. She warned me before we began that my life would change forever. Part of the attunement process forces your body, mind and spirit to basically dismantle itself. A form of genesis takes place as the the universal spirit energy rebuilds you. She stated, your physical, mental, emotional and spiritual blockages will be exposed and released. This often manifests through physical pain, mental and emotional catharsis and spiritual cleansing. lt can often take you to the presupus of reality where you envision that you could fall off the edge into an endless abyss of lost infinity. The same phenomenon takes place with Shamans going through their quickening process. Attunement one focuses on the physical body. Attunement two addresses your mental and emotional self and attunement three, which anoints you as a Reiki Master, raises your spiritual power so that you can vibrate at the highest possible frequency thus amplifying your Universal spirit energy. The word Reiki itself, literally translates to (Rei) universal spirit (ki) energy. Only a few days after my first class and attunement, I ripped my back. This pain lasted a number of days. I knew something like this would happen as I was warned up front. Knowing this would take place, I meditated intensely on the attunement pain not effecting my work. I'm a singer, DJ, karaoke guy who has to lift my sound system in awkward positions to protect my equipment. Needless to say this puts incredible pressure on my back along with aggravating my hemroids and hernias. Conveniently, my work schedule played out to where the pain finally subsided about two hours before my next gig. I was sincerely grateful to God. My Reiki Master told me to wait a minimum of 21 days for the attunement to process before receiving my next attunement. If I recall, only 22 days had passed before I scheduled my next attunement. That morning, I threw my back out again. I called my master and canceled explaining that I should have allowed more time for the processing to complete. She understood without question and told me to meditate on when I felt my spirit was ready to ascend higher. Close to a month elapsed before I was confident enough to receive attunement number two. Attunement two, the mental and emotional phase was a breeze. I experienced no pain, anxiety or anything negative that I could pinpoint, however I could feel myself continuing to ascend and vibrate at a higher frequency. Attunement number three, the spiritual enlightenment stage of my Reiki evolution, was a whole other story. I ripped my back again and then got fired from my biggest DJ account after 10 years. One of the managers at this chain of resorts set me up to lose a $40,000 per year contract. Her diabolical plan worked to perfection. To make matters worse, I developed a severe case of bleeding hemroids that almost required surgery without insurance. This all happened days after attunement three. But wait, it gets better. My SUV died on me so I had to buy another vehicle. My septic tank had developed problems to the tune of $1,000. The hot water heater in my home needed to be replaced. My IPhone crashed on me so I had to buy another. Then on top of everything else, my DJ sound system and computer all needed to be upgraded badly. There went another $3,500. All this and other freak events occurred days, weeks and months after my Reiki three attunement. The hard discipline here is to understand that this was all a good thing. Thanking God and Master Usui Reiki for all that had happened is the only way your spirit can grow. Now I go back to what my Reiki Master told me. She said to expect things like this to happen and they did. Ultimately, my back healed and most everything else was monetary in nature, which I was able to handle. The one albatross I was to carry that would effect me most was the bleeding hemroids. This went on for almost two and a half years. I did lose the big DJ account but I still had plenty of work as a DJ karaoke guy and still do. Shortly after attunement three, I had to contend with the reality of bleeding into my underwear and through my pants while I was working. Sometimes blood was visible from the exterior of my clothing. How incredibly embarrassing. This happened to me a number of times when business was good. More work meant more lifting heavy speakers and so on which aggravated my back and hemroids. I started to become very afraid and almost went to the hospital for surgery. Right before I conceded that I required medical attention, I experienced a grand epiphany. I am a Reiki Master and Teacher. I can heal myself. It took me about 36 hours of straight self Reiki, meditation and praying harder than I ever prayed to God before and I did it. I didn't completely heal myself, but Reiki worked well enough to make my back but mostly hemroids manageable. Now, almost three years removed, these problems are almost totally gone. You talk about having faith. I almost went in for surgery without insurance. Thank God and Master Usui Reiki I did not. What I went through was very brutal and challenging. It was perhaps the hardest thing I've ever had to contend with in my life. This is what Shamans and other spiritual healers have to process to grow closer to and become a part of the universal spirit energy. Not all healers experience what I went through, but I wouldn't change what happened to me for anything. I've always been able to walk in the physical and spirit alien worlds simultaneously, but my now my presence is felt on both sides more than ever before. Since November of 2013, I've seen more UFO's, aliens, ghosts and anomalous phenomenon than ever before by far. I know at least part of the reason is because I became a Reiki Master. Thank God I did. An interesting side note is that after acquiring my education and training as a Reiki Master, I went to school to become an International Metaphysical Minister. Once I finished my ministry, I made one phone call and became the in house Reiki Master Teacher of a popular yoga and spiritual center. Within days of achieving this accomplishment, I found out through the Florida State Massage Therapy Association, that a new law was passed back in 2011. This law proclaimed that Reiki was now recognized as a form of Oriental Massage, and thus it was illegal to practice Reiki for profit without being a licensed massage therapist. I balled up on the floor and cried. Between Reiki and my ministry, I went to school for two years only to find out it would cost me another $5,000 to become an LMT and that my journey to become a practicing spiritual healer had ended. I still practice Reiki every day. The catch is that it's illegal to accept money, so I perform it for free. This was just one more hurdle of growth I had to leap over to become one with God and the universe. I then focused all of my extra dimensional power towards aliens and becoming an author. That's why I'm writing this book still today and embrace the rocky road I travelled to get here.